April brings flowers, showers and stories! Our monthly exclusive offers give you another opportunity to reach out to your Customers, Hostesses and potential new Designers each month to share what’s new! We’re bringing you and your Customers Swarovski®’s NEW! crystal color from their Spring/Summer 2019 Collection! When your Customers place an order over $50 USD | $65 CAD in April, they can purchase our exclusive Majestic Blue Swarovski Gift Set for only $25 USD | $33 CAD*, while supplies last! Silver Clara Stud Earrings with Majestic Blue Swarovski Crystals – Exclusive! Majestic Blue Swarovski Crystals Stardust Pack – Exclusive! Here are the Customer Exclusive FAQs. Share Stories. Earn Free Jewelry. Have Fun with Friends! April Hostesses can choose an exclusive look for FREE, or at a discount**, in the O2 Hostess Exclusive Shop, including our NEW! “Anything is Possible” Hostess Exclusive, Silver Jet Hematite Sparkle Drop Earrings, Silver Clara Stud Earrings with Light Colorado Topaz Shimmer Swarovski Crystals or a Mystery Hostess Exclusive. Here are the Hostess Exclusive FAQs. Do you know someone who’s wanting to pay off debt, earn extra income or make a difference in the lives of others? When you sponsor a new Designer in April, you, and the new, personally sponsored Designer, can earn our Silver Triangle Bolo Locket Gift Set for FREE+ when you meet the qualifications! Silver Triangle Living Locket® Bolo Necklace with Lariat – Exclusive! Silver 3” Spike Drop Earrings – Exclusive! Here are the Designer Exclusive FAQs. This quarter, we’re championing an important cause that is close to the hearts of so many – military families. From April through June, in addition to the many Force For Good Ribbon Charms already giving back, we’re hosting a special shop on your Origami Owl website dedicated to giving back to this cause. We’re proud to donate up to $1 for every jewelry piece purchased in our Support Military Families Shop to benefit Operation Homefront in the United States and True Patriot Love in Canada. Here are the Force For Good FAQs. *Available April 1-30, 2019. While supplies last. Substitutions may apply. 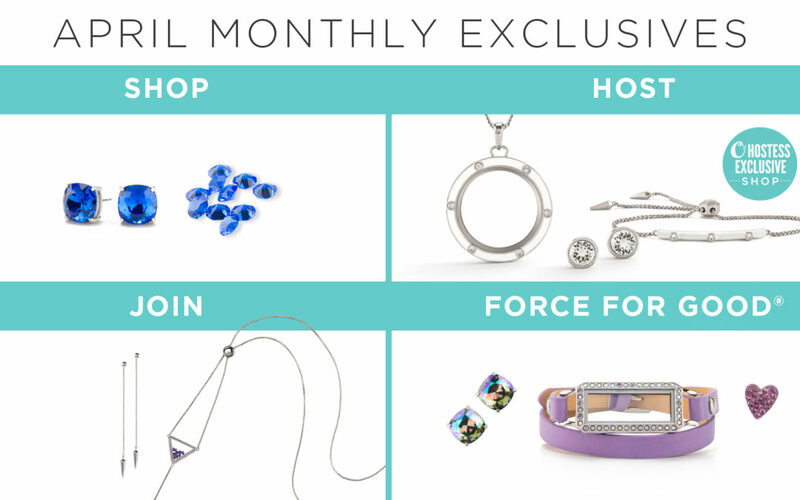 **Earn for free, or at a discount, with qualifying Jewelry Bar®. Looks in the O2 Hostess Exclusive Shop are available while supplies last. Substitutions may apply. +New Designer must achieve 100 PV by April 30, 2019 at 11:59 p.m. CT to receive Designer Exclusive look. Sponsor must also achieve 100 PV and their New Designer must achieve 100 PV by April 30, 2019 at 11:59 p.m. CT to receive Designer Exclusive look. Limit three per Designer. While supplies last. Substitutions may apply.